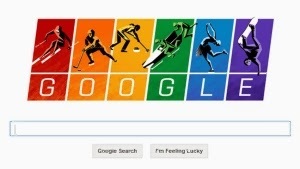 Snail Hollow Gazette: "Gay" in the News: Google Plays "Games"
Even Google affirms, from the front page of their vast data stores, that Russian Olympics are "the gayest games ever". Not really very convincing. Still trying to grasp how the expression of sexuality relates to Olympic competition. The Olympics still appears to be a place where the girls are girls and the boys are boys.